Handmade Hat with Holes in Rim - C & R Discount, Inc. 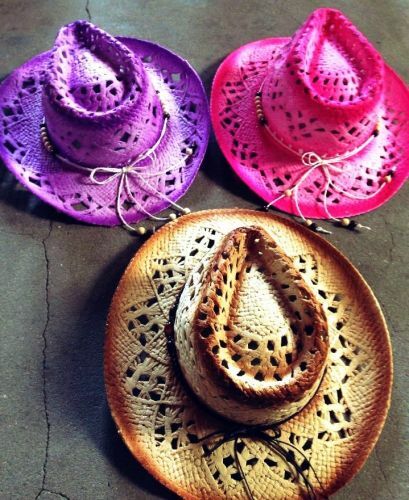 Handmade cowboy hat with holes in the rim of the hat. Choice of one of three colors: pink, purple, or brown.